This is not a game of the imagination. Exceptions – Spot The Differences is a game that requires you to use focus, concentration, and your vision in order to find differences in different photographs. While you have been quick to point out differences on multiple things that you came across, it is best to put those visual skills to good use through this game. It offers you a sneak peek into photos that showcase diverse sceneries, people, food and culture from around the world and you have to point out exactly what is different. If you are looking for a way to challenge your mind then Exceptions – Spot The Differences will do just that for you. Put your mind to good use by spotting all of the differences that you can. Needless to say, you have to think big for you to play Exceptions – Spot the Differences successfully. There is nothing obvious about the pictures, you really have to take time to identify the pictures. Forget about rushing to the end, being slow but sure is the best way to tackle this game. Do not worry, the game has clean graphics and relaxing music that will foster your playing experience. Nothing about it is destructing. You will not be disappointed by what Exceptions has to offer. Exceptions – Spot The Differences is particularly suitable for anybody – adults and kids alike. There are many amazing levels of the game. Every day, there are tasks to be completed and if successful, you will earn an achievement on the leader board. There are photographs that are extremely detailed and may be challenging to see any differences immediately but this is what makes Exceptions – Spot The Differences fun. By completing all of the daily tasks, you will be able to climb the ladder of success. Remember, you are supposed to spot the differences in the photographs. This is certainly impossible to do if you do not take time to study or check out the photographs. Do not be in a rush, it is better to be slow but sure. 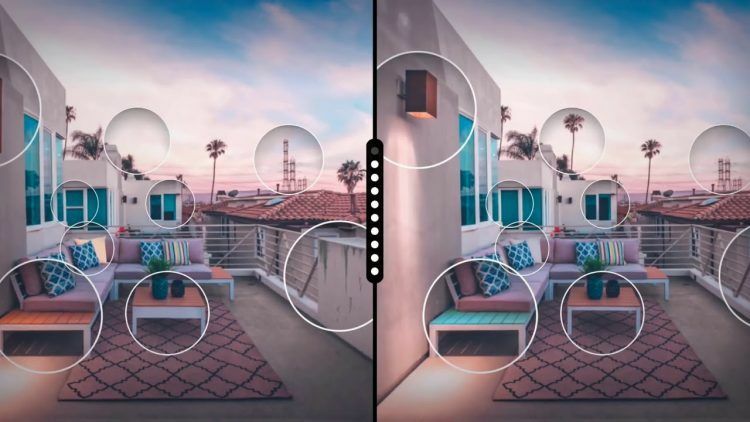 If you just spot the differences in one or two photographs, you will not be able to earn extra points and bonuses that will help you through the levels. Take advantage of the daily activities too as they will boost your gameplay immensely. If you are not focused then you will not be able to play the game successfully. Clear your mind of all distractions and concentrate on the game. You have a better chance spotting the right differences this way than if your mind is wandering around. All players want to be at the very top of the leader board and you should not be an exception. When you gain a lot of achievement, you will not only enjoy the game but also progress through the levels faster. There are also many bonuses and rewards to be collected when you are at the top. Go to the search box in Bluestacks and type “Exceptions – Spot the differences” without the quotes, of course. That is it! You can now enjoy your freshly installed copy of “Exceptions – Spot the differences” on your favorite PC!